This video is a presentation of Walter Block's speech and the discussion on immigrations, at the International Scientific Conference "Management 2018" held in Belgrade on 4 and 5 May 2018. The show was realized via Skype and was recorded using Callnote. 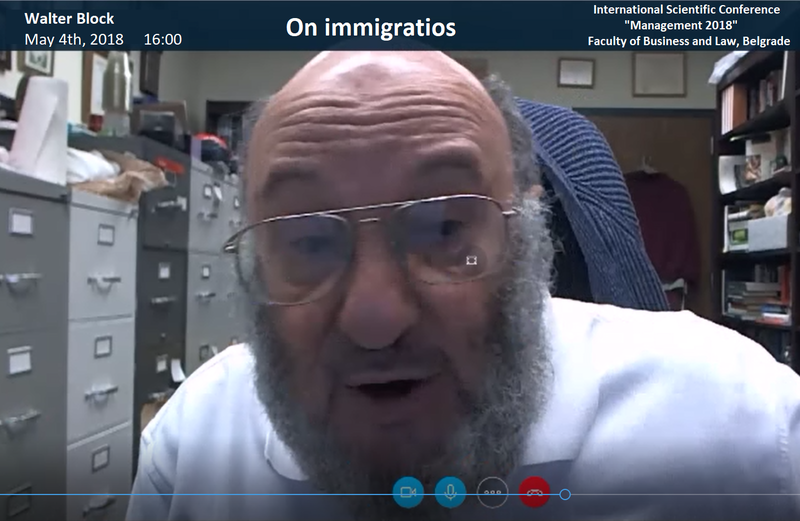 To see Walter Block's presentation online, in your browser, please click the picture or the button "Open". Depending of your device and network, downloading can take a few seconds. In case your browser settings does not support any of offered video formats and the video is not visible on your browser, we recommend you to download and install MPEG2 Video Extension and try again. If you can't see a video in any of the views, you can still hear the exposure.